Speak to one of our friendly staff members today about the trip you have in mind. Whether you need transportation to an event, such as a wedding or a sports game, or simply want to provide the highest quality chauffeur service for a business associate who is coming from out of town, we would be pleased to serve you. We encourage you to call (877) 941-0775 or contact us today to get a quote for any of our many vehicles. 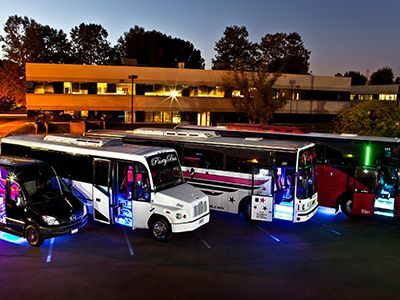 We can provide any type of transport, from passenger cars and limos, to stretch Hummers and party buses. Tell us more about where you want to go. Go further and get more with Lightning Limos!